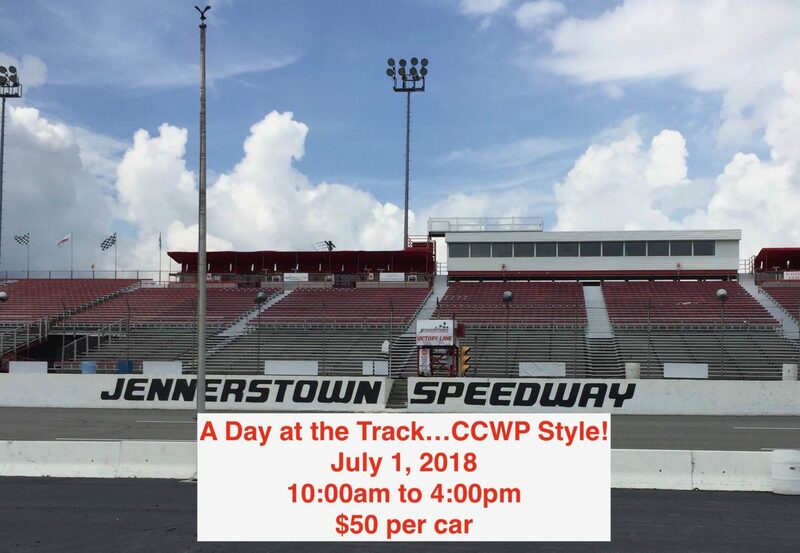 Join CCWP for a “Day at the Track… Jennerstown Speedway! Open to all cars, July 1, 2018 10am to 4pm. NO RAIN DATE. All details are in the “Registration Form”..